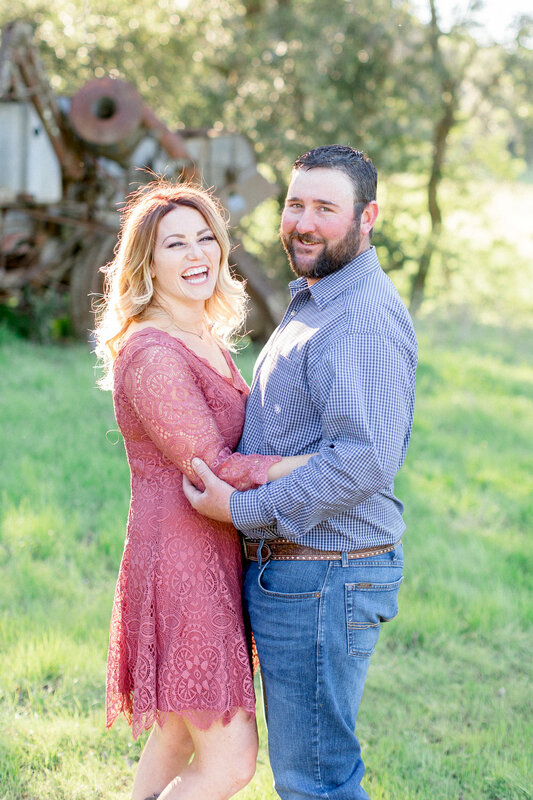 Clay and Meagan requested to take their engagement photos on Clay’s family’s ranch in the beautiful Napa Valley part of California. The ranch is absolutely breathtaking and up a windy road in Napa County. Once we arrived on the property, we hoped in their Gator for quick transportation to all the hidden locations for their sunset engagement photos. The property has been in Clay’s family for generations and is a special place to him as he grew up. Together, Clay and Meagan have enjoyed exploring this special space. 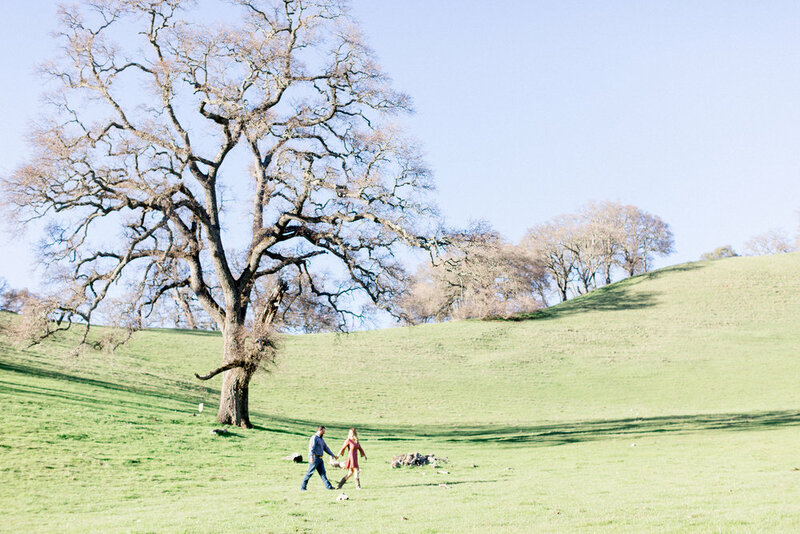 There were huge lush green pastures, cows greeting us on the road to the property and the most beautiful view at the top of the mountain looking over the rolling hills and Bay Area beyond. 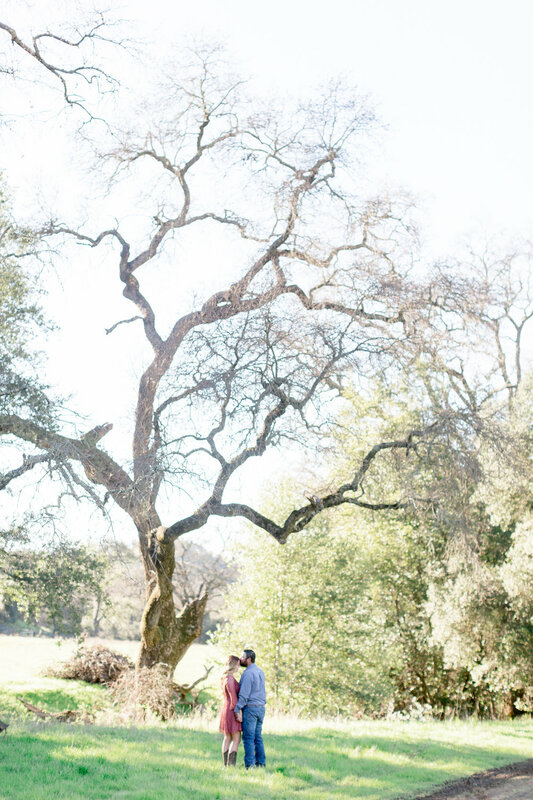 We love when couples utilize family properties or meaningful places like Clay and Meagan did. It makes the photos that much more powerful to look back on. Thank you Clay and Meagan for showing us this special place to you to. We can’t wait to for the wedding!